object on your Asp.net Website. The Web is text and text has a meaning. Ultimately the content that our browsers read is pure text. Web sites and web applications have been created in an ecosystem where text based content is linkable, searchable and mashable. In the open web scenario our content can be shown, fed and remixed by third parties, search engines and accessibility tools. All these benefits don't come for free. New microdata syntax for additional semantics. 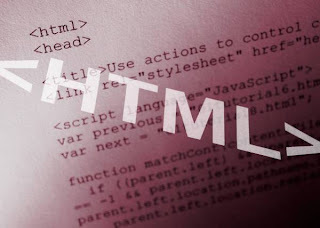 Many of existing web sites today contains HTML code like this: <div id="nav">, <div class="header">, or <div id="footer">, to indicate navigation links, header, and footer. 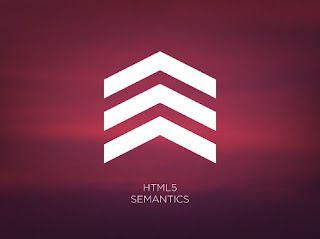 According to W3C, "A section is a thematic grouping of content, typically with a heading." "An article should make sense on its own and it should be possible to distribute it independently from the rest of the web site." "The <nav> element is intended for large blocks of navigation links. However, not all links in a document should be inside a <nav> element!" "The <aside> element defines some content aside from the content it is placed in (like a sidebar)." "The <header> element should be used as a container for introductory content." "The <figure> tag specifies self-contained content, like illustrations, diagrams, photos, code listings, etc." HTML5 is the 5th major revision of the core language of the World Wide Web: the Hypertext Markup Language (HTML). In this version, new features are introduced to help Web application authors, new elements are introduced based on research into prevailing authoring practices, and special attention has been given to defining clear conformance criteria for user agents in an effort to improve interoperability. As we know, there are many files that are not downloaded directly. For example: images, webpages, PDF files, music files, etc. We have to right click on images and then click on Save Image to save an image file. But if I want to download an image file directly, then I have to use the download attribute. Simply type download in the <a> anchor tag. By using this, when we click on download image, the image starts downloading. The same method is used for downloading PDF, webpage files (HTML), etc. Here, we write download="myImage". When we click on Download image, then an image file is downloaded with name myImage with a .png extension. The browser automatically detects the correct file extension and adds it to the downloaded file. So there is no need to add the file extension in the download attribute. Currently, Chrome 14+ and Firefox 20+ supports the download attribute (tried and tested by me on Chrome). I am including the .zip file for downloading in which I am showing the use of the download attribute as well as checking browser support for the download attribute. CSS3 added support for the media="screen" way of defining which stylesheet to use for which representation of the data. CSS3 adds a new feature to this functionality, by adding media queries.